Guy Goethals, then with Arno Bornkamp at the Conservatory in Amsterdam, where he was awarded an excellent bachelor in 2002, and a master with distinction in 2004. In 2004, the Erasmus exchange program allowed him to work with Claude Delangle at the Conservatoire de Paris. 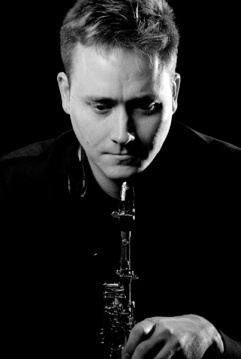 Olivier Sliepen was the winner of the Concours de lâ€™EMCY in 1995 and of the Gustav Bumcke Competition in 1999. In 2002 he was invited by the Frankfurt Ballet to create a new composition by Thom Willems based on a new choreography by William Forsythe. the Musique Militaire Grand-Ducale, Noise Watchers Unlimited and the Orchestre de Chambre du Luxembourg. He closely collaborates with composers such as Luca Francesconi, Claude Lenners, Camille Kerger, Philippe Hurel, Reza Namavar, Sander Germanus, Claus-Steffen Mahnkopf and Christian Lauba. He is a member ofÂ â€œUnited Instruments of Lucilinâ€� (www.lucilin.lu) and the Amstel Quartet (www.amstelquartet.nl). The latter has won several international awards,such as the Gaudeamus Competition 2006 and Concert Artists Guild 2006, New York.